In Best Books You've Never Heard Of, Books & Reading, Inspiration. Confession: I didn’t know anything about Eleanor Roosevelt just one month ago. For years, I’d noticed that older females I admired would reference her name, or have a quote of hers pinned over their desks. But until recently, all I knew about Eleanor Roosevelt was that she was FDR’s wife. You Learn by Living was first published in 1960, when Roosevelt was 76 years old. It’s striking how fresh and wise her insight seems today, over fifty years later. Roosevelt’s plucky, pull-yourself-up-by-your-bootstraps attitude shines through on every page. You Learn by Living is packed with sound advice, heavily seasoned with anecdotes from her own life. Not knowing her story, I was surprised to find out that her life contained a good amount of hardship. I’ve only begun learning about Eleanor Roosevelt, but I’m ready to declare her an accomplished woman. She didn’t paint screens or net purses, but this woman has been around the block a time or two–and she has a lot to show for it. Roosevelt constantly reminds her readers that life is an adventure–so act like it! Develop the Ability to Focus–on the Right Things. If you are going to get anywhere in life, you must do the hard work of learning to discipline your mind and body. Roosevelt believes our lives are the sum total of the things we think about and the choices we make, and we need self-discipline in order to choose wisely. Roosevelt’s section on time management is especially good. In this age of productivity gurus and time management systems, her old-fashioned tips still ring true: maintain your sense of calm, concentrate on the thing at hand, develop good routines. And take good care of yourself! Her words focused my thoughts on contemporary things like my computer habits (“you can finish any task much quicker if you concentrate on it for fifteen minutes than if you give it divided attention for thirty”) and my friend who just completed her first triathlon (“women should try to develop some interests in which their whole family can share”). Her old-fashioned advice is still right on the money. Develop Confidence in Yourself–and a Healthy Sense of Perspective. The world doesn’t revolve around you–and the sooner you realize that, the better! You can best develop a sense of perspective on the world by seeking a wide range of experiences, interacting with all sorts of people, and being interested in lots of things. 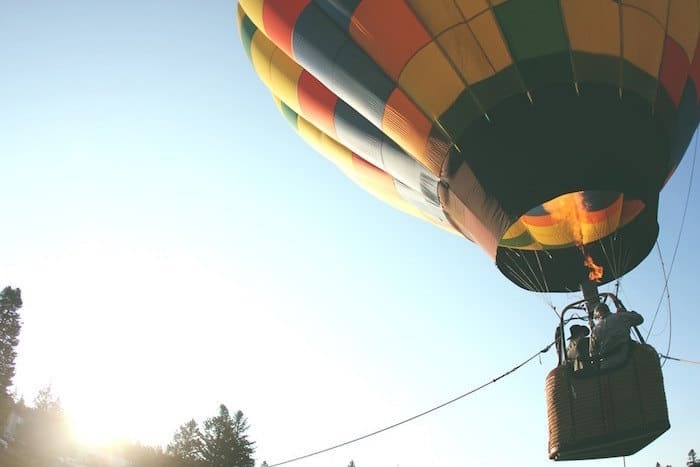 Roosevelt encourages her reader to “open windows outside [your] own narrow circle” and mix with people whose lives and experiences are different from your own–people of different ages, backgrounds, occupations, incomes and nationalities. Her life story shows she practiced what she preached. “To be mature you have to realize what you value most. It is extraordinary to discover that comparatively few people reach this level of maturity.” Roosevelt’s discussion of what makes for a mature person–and her musings on how to attain maturity oneself–are one of the highlights of the book. Her advice on how to take criticism well is especially wise. The fact that Eleanor Roosevelt thought aiming for maturity was advice worth giving shows she knows something of today’s woman. You can create a good life–and a happy one–by being honest with yourself, by doing your best in your life and work, by loving others, and by being useful. All these things are quite doable, but they don’t happen by accident. You have to take action. Roosevelt tells us how she put these ideas into practice in her own life, and prods her reader to do the same. This little book is well worth finding a copy of. 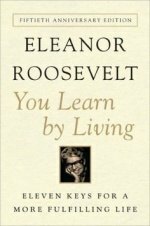 You Learn by Living would also make a good gift for graduates, anyone heading off to college, or, of course, Eleanor Roosevelt fans. I’m happy to see that a new edition of You Learn by Living was just released 6 weeks ago, with a new subtitle: Eleven Keys for a More Fulfilling Life. If you’re anything like me, you’ll want to know what those eleven keys are: learning to Learn • fear—the great enemy • the uses of time • the difficult art of maturity • readjustment is endless • learning to be useful • the right to be an individual • how to get the best out of people • facing responsibility • how everyone can take part in politics • learning to be a public servant. A chapter is devoted to each of these topics in the new edition. P.S. Eleanor Roosevelt’s best blogging tips. Tagged Best Books You've Never Heard Of. I’ve read a few books about her but have never even heard of this one. Thanks! I really liked the Doris Kearns Goodwin book on the Roosevelts if you’re looking for more. I read John Adams earlier this year and loved reading about Abigail as well! I definitely will have to check this book out! Eleanor Roosevelt is the model of a woman of grace and compassion. She had a heartbreaking marriage, and yet was able to fend off bitterness and regret. She is also a great example of a woman who could walk the line of individuality as a person without losing the tenderness of being a woman. It’s no wonder that women from the era related so much to her. They wanted to be ladies, yet had to buck up and deal with such harsh circumstances. She had a lot of wisdom to share! Thanks for dropping by my blog! This book sounds very interesting; I may have to check it out! I like the sound of this book!! Hopefully my library has it! This sounds like such a great book, Anne. I just loved your post on Abigail Adams, and this one is a new favorite of mine. I like how she kept herself grounded when surrounded by praise; I also appreciate how she seems to live her life with intentionality. It sounds like an excellent read. Thanks for sharing! wow, those all sound like things my grandma would say. and oh so true! Oh, I’ve read books about her but not any she has written. I love finding books someone has read and loved. She was an intelligent woman with much to teach us. I LOVE Eleanor Roosevelt, I will have to check out this book. She was an amazing woman! A few of the best books I’ve ever read on Living Well have been The Shaping of a Christian Family by Elizabeth Elliot, Million Miles in a Thousand Years by Donald Miller, and Evidence Not Seen by Darlene Deibler Rose. Pingback: Is that novel worth your time? Turn to page 69 to find out. I’ve always found Eleanor Roosevelt incredibly inspiring and even more so after watching Burns’ week long documentary series on the Roosevelts. May I suggest another First Lady book? Recently finished Louisa about Louisa Adams, the wife of John Quincy. WOW! She is our only foreign-born First Lady. I’ve long admired and enjoyed reading about Abigail Adams and this book provided a different view on her as a mother in law. 🙂 Anyway, highly recommend – it’s an incredible look at history both in and outside of the US and she and John Quincy served in several foreign posts before he was President. I plan to get this book. Sounds very inspirational and a woman before her times. My very favorite blog (altho: I always enjoy all of them! )– valuable information to share; and I will be giving this book to many graduates in the years to come!